All our latest news on The Most is posted below. You can view our news archive by clicking here. We have some great new gigs and new venues in the next few months. Please check our gig listing for details. We have just added some new gigs with some new venues to our listings for 2017. We are working on some new tracks to try out and also have some more original numbers to try out at our gigs. Happy New Year and hope to see you at a gig soon. The Most are please to announce that Mark McClaran has joined us on lead guitar and vocals, Mark has a wealth of talent and knowledge and we look forward to working with him, here is a bit about Mark; Mark hails originally from North West London. Now living in Essex he has been playing since the days of mod revival . Brought up on a diet of Kinks, Who and Small Faces he searched for "bloody ages" before finally finding The Most. He plays a Telecaster teamed up with classic Marshall tubes for the authentic sound. Mark also writes his own stuff and teaches guitar. We are pleased to announce that we Brad Marsh has joined us on bass guitar. Brad may be the youngest member of The Most, but his approach to the songs and his fantastic vocal ability is far beyond his years. Here is his blog; I am a young Mod & a song-writer that writes with a 60?s influence in my music. I have been in a fair few cover bands & originals bands over the years. A big achievement for me was gaining a ?Grade 8? in bass-playing whilst studying at ?The British Academy of New Music?. I have also played in a popular Queen tribute band for over 4 years called ?Queen B?. I absolutely love the Mod scene and my all-time favourite band, for me, has to be The Who (and that is largely to do with Entwistle?s bass-playing!). Obviously, I am very excited to be joining The Most! Dont forget to check out our Gig listing, new gigs and venues being added weekly, !! Saturday 14th June, some of the top tribute acts to some top bands will be converging on Gloucester Park Basildon Essex. We are proud to annonce that we will be on stage at 3pm and will be blasting out some Who, Jam,Kinks and Small Faces, and will be on for about 45 mins. Tickets are available for the weekend from several outlets around the town. This weekend, Saturday 29th March, we are proud to be performing at the Brighton leg of this years March of The Mods,in aid of teenage cancer trust. The venue is The Brunswick Ph, where there will be bands and DJs from 2pm til midnite, entry is £10 for the whole day, so do your bit and come and support the bands who are giving their time for free to entertain you. Sunday 1st December we are on Glory Boys Radio Show, with DJ Alan May, 7pm til 9pm. tune in on the net via 6towms radio. We have recently recorded an interview for BBC Essex which is going on air very soon, in relation to the PQF, and the recent release of the cd, Pass It On, available to buy on line.This cd has now gone global, being sold in the US, Australia,Japan and Europe. Spent the afternnon with Dave Quaife, brother of Pete, the founder member of The Kinks, being interviewed on Phoenix fm, for the new cd PASS IT ON which is being released on 21st sept. The interview can be heard via this link, http://www.phoenixfm.com/2013/09/16/david-does-his-bit/. ..::Some great new gigs coming up !! We have some great new gigs coming up in the next couiple of months with us supporting Bruce Foxtons, From The Jam,... details to follow. A last minute stand in, THE MOST will be playing a FREE ENTRY gig at Club Riga, London Road Westcliff, this coming Friday 9th August.  Promoted by DJ Fatboy-Cliff Evans ,UK's top SKA DJ, who will be spinning the decks in between sets. With hits of The Small Faces, Kinks, Who, Jam, and with some Northern Soul, 60's Soul,Mod, Freakbeat , Brit Pop, and Revival, there is no better place to be this Friday,.. so come and support us and this historic music venue. ..::Roll Up Roll Up !!!! We have some top gigs coming up,...with The Greenline in January we then have Milton Keynes on 9th February, working with LemonGig Promotions,at The Bletchley Arms, then on 2nd March we have Goodmayes with top Northern Soul Dj, plus lots of other local gigs in between and a NEW CD being recorded this month,... PLUS !! the new website is underway,.. constructed by Deveon web design ! keep checking it and pop along to a gig near you !! We wish every one of you a very Happy New Year, and hope to see you at a gig soon. We have some great gigs lined up this year and a new updated website is also on its way. We are recording a new CD this month with some fantastic 60s tracks, thanks for yuor continued support, see you soon !! We have The Woodman in Halstead and then The Victoria in Witham next weekend,.... folwed by our local, The Chequers in Billericay,....Hope to aee you there,... Come and be one of the faces !! We are at The Albert in Witham on 31st August and then The Oakwood Rayleigh Road Eastwood on 1st Sept, then some great new venues and gigs with some new songs in the set, we are off til then, taking our holidays, have a good summer whats left of it,and see you at the end of the month !!!! Saturday the 11th August we have a new gig for you,.. The KTF Soul Club have booked us to pplay 2 hours of mod sounds at The Railway, Stanford Le Hope,... and we have a guest drummer, Lee Andrews from Bif Bam Pow will be sitting in for us,.. so ear protection advised !! ..::SOMETHING FOR THE WEEKEND ?? 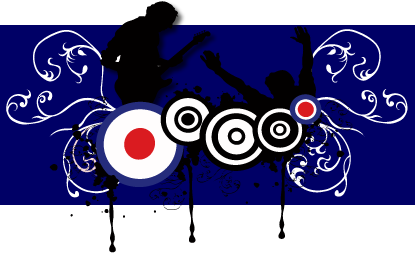 Tonite, we are blasting out over 2 hours of stonking mod hits at The Bull music venue, Crouch St Colchester,la la la !! then Sunday we are at one of the biggest mod events, SUNDAY BEST, at Capel Manor Gardens ENFIELD,.. Stalls, Scooters, DJs Clothing, ect ect,... Come and be one of the faces ! !